Note: This site is better experienced in a more modern browser. Consider using an up-to-date version of Chrome, FireFox, Safari, or Edge. The web-based schedule viewer on an iPhone™ and iPad™. 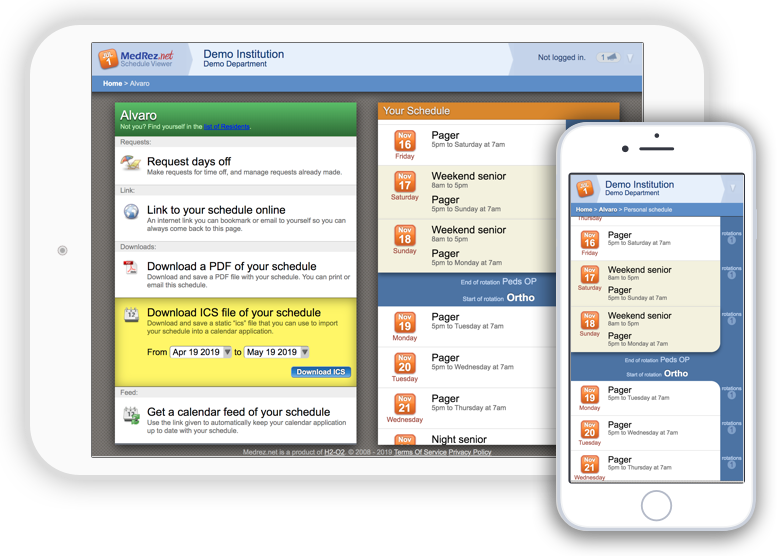 Get the free trial and make two months of schedules.